Many think of France as a center of art and culture, famous for their wine, cuisine, and style. Two hours from Paris, as the high-speed train goes, is the city of St-Etienne, where Focal is headquartered. In this high-tech mecca, lurks a company with both feet firmly planted in the latest technology and hands-on craftsmanship. There are precious few companies of any kind in 2017, where you can see someone in a clean room producing pure beryllium domes for tweeters, and yet in another see another worker hand finishing a cabinet for final production. This harmony of new and traditional tech has brought us a wide range of loudspeakers culminating in the $220,000/pair Grande Utopia EM. I have had the opportunity to listen to the Grande Utopia EM quite a few times in different locations around the world. 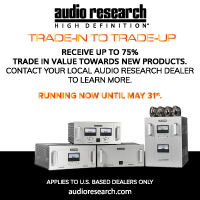 Though I have rarely used the word “best” in my tenure at this magazine, I must say the best hi-fi system I’ve ever experienced is in the main sound room at Boulder Amplifiers. It consists of their amazing 3050 monoblock amplifiers delivering over 1500 watts per channel of pure class-A power through the Focal Grande Utopia EM speakers. 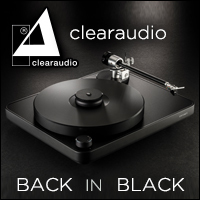 Is it the world’s best hi-fi system? I can’t make that call, but it is the most musically engaging system I’ve yet heard. Near the end of this review, a scheduled visit to Boulder’s new factory and sound room makes for a poignant reflection on the $19,995/pair of Sopra no. 3s you see here, in all of their orange glory. No snide comments about the color, my wife loves them. What proves illuminating is playing a handful of tracks on the Sopras after spending a few months with them, getting on a plane and listening to many of them on the Grande Utopias, then sitting back in my listening room the next day to repeat that playlist for comparison. Granted auditory memory isn’t perfect, and my reference Pass XS300 amplifiers are not Boulder 3050s, but they are no slouches either, and the overall characteristics of both speakers are easily revealed. One of the most impressive aspects of the Grande Utopias is the way they respond to transients, reproducing drums with the necessary impact to sound believable, in a more realistic way than I’ve ever heard a cone speaker accomplish. A similar, yet slightly diminished effect was had when the Stella Utopias were here a few years ago. Playing AC/DCs “Rock and Roll Ain’t Noise Pollution” at relatively high volume, the solitary pounding on a single snare drum rings true, with all of the force, tone, and decay that the Grande Utopia offers. 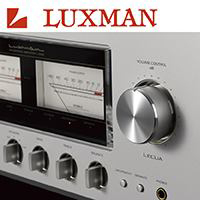 Turning the volume down to reasonable level reveals the same dynamic immediacy, indicating a linear speaker. Where some mega speakers only sound great cranked to the max, the Sopra no.3s go all the way down to a whisper with ease, not losing the effortless they display at high volume. 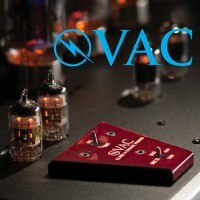 Thanks to a 92db/1-watt sensitivity rating this three-way system does not need a ton of power to play at high level, and it is also very tube friendly. Even my 20-watt per channel Nagra 300p works splendidly. 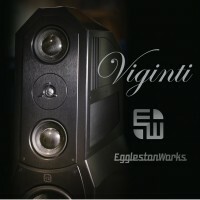 While the warmer tube amplifiers in my collection provide a slightly more friendly, if somewhat colored presentation, when connected to my reference Pass Labs XS300 monoblocks, they are capable of delivering a truly epic sonic experience. They aren’t quite Grande Utopias, but with a lot of power and control behind them, I am always amazed at how much of the flagship Focal sound is present here. After discussing the Sopras design with the Focal engineering team and reading through the white paper accompanying them, it’s obvious that a tremendous amount of refinement has gone into this design, and in some areas, the Sopra range incorporates some new technologies that are not even in the Utopia range yet. At last year’s Munich High-End show, (at the Sopra launch) their engineers made it clear that they were trying to take what they’ve learned with Utopia further and make it more compact as well, without sacrificing the prodigious bass response their Utopia speakers are famous for. They have succeeded on all counts. 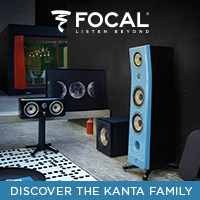 Focal makes it a point in their white paper to discuss just how important midrange clarity and linearity both are to their overall sound. Utilizing “tuned mass design,” a concept derived from Renault Formula 1 in 2005 (Then deemed unfair by the FIA and subsequently banned) Focal can optimize damping of the critical midrange driver without sacrifices in either transient response or tonal coloration. 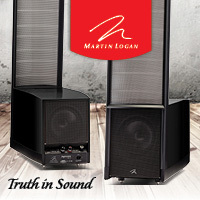 This gives the entire Sopra range clarity and coherence that rivals the best ESL speakers. For those not so technically inclined, it only takes a brief listen to your favorite vocal track, or a bit of acoustic music to see that the Focal team has exceeded their goals. The delicate piano work on Keith Jarrett’s Shostakovich:24 Preludes and Fugues, Op.87 floats between these orange beauties, with a wonderfully accurate sense of tone and scale. Where some speakers capable of wide dynamic swings can overblow the image of acoustic instruments, the Sopras keep things in proper perspective. Consequently, when an overblown, studio recording with a colossal sonic landscape are played, such as K.D. Lang’s Ingenue, or Kraftwerk’s Autobahn, all of the grandeur is maintained. At 154 pounds each, you will probably need a bit of help getting the Sopra no.3s out of their cartons and out into your listening room. While not perfect sonically, I suggest if you have a carpeted floor, to slide them around a bit on their glass bases until you achieve the best placement you can. Then, screw down the integral spikes to optimally adjust speaker rake angle. Thanks to the wide dispersion of the Sopra tweeter, this is only a minor adjustment. For those who have more experience with the Utopia series, and are used to removing the protective grille on the tweeter, resist the urge to remove it on the Sopra series. The tweeter was voiced with the grille in place and sounds too forward sans grill. I was warned not to do this but gave it a whirl anyway. They were right. Leave the tweeter grilles on. My listening room is 16 x 25 feet, and I made it a point to try the Sopra no.3s in both orientations; placing them on the long and short walls. 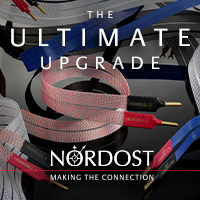 Both offered satisfying performance, and your preference will determine what works best. Situated on the short wall about five feet from the back wall and about six feet apart, with slight toe-in made for slightly more powerful bass response, with the listening couch about 10-12 feet back. I prefer a more immersive, nearfield experience, so moving the speakers to the long wall with the help of Audio Plus Services John Bevier was easy. Orienting the speakers now to about ten feet apart and the tweeters nine feet from the listening position with a lot more room on both sides, the presentation opens up tremendously. Zammuto’s last release, Anchor, now goes beyond the speaker boundaries, out to the side walls and on some tracks feels as if the room has been enlarged. Big fun. 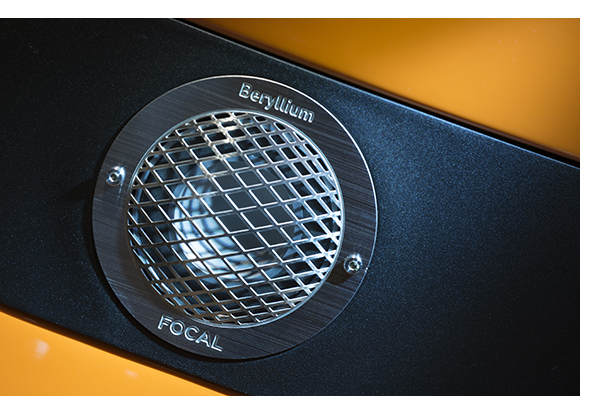 Focal has been refining their beryllium tweeter for many years now, and with each iteration, it gets better; smoother and more extended without fatigue. Ten years ago, the beryllium tweeter was a bit much, but they’ve tamed it entirely. It now offers a stunning degree of resolution without any bite. 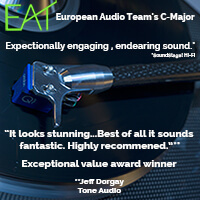 Cymbals, strings, and percussion sound stunningly real, and the integration with the midrange and woofers is equally flawless. The level of coherence the Sopra no.3 offers is world class. The lower part of the frequency response of the Sopra no.3 is listed as 33hz (-2db) with a useable frequency limit of 26hz. Listening to test tones proves this to be spot on, though the output is still strong in my room at 25hz, yet drops off quickly at 20hz. Seriously though, how much music do you have with 20hz tones, or do you have the room to render them anyway? I can’t imagine these speakers not having enough bass for anyone, and all of the bass heavy tracks I auditioned proved highly satisfying. With so much talk about sonics, which the Sopra no.3s excel at, I forgot to mention the sheer physical quality of these speakers. All three of the Sopra speakers give no quarter to the flagship Grande Utopia EM; they all feature $200,000 speaker build and finish quality. The layers of orange applied to my review samples (as with every other pair of Sopras I’ve seen in dealers and shows around the world) looks like liquid glass. For those wanting something a bit more subdued than bright orange, white, black and red, along with one wood veneer finish; Dogato Walnut. All with the same high quality. 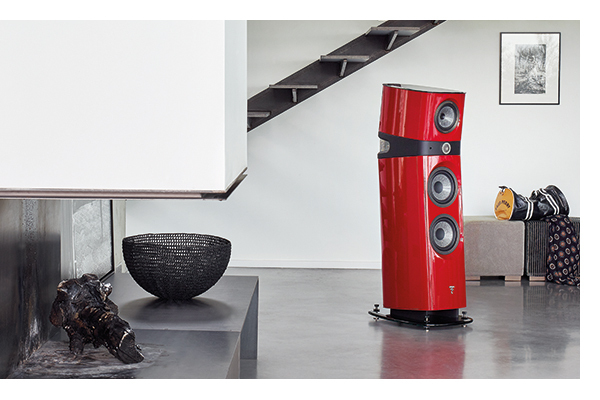 $20,000 is a lot of money to spend on a pair of loudspeakers. 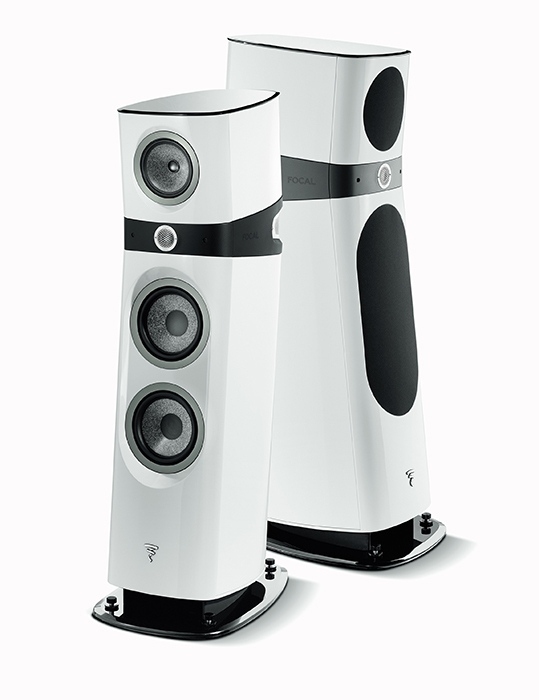 However, considering the level of performance offered for the price asked, it’s easy to award the Focal Sopra no. 3 one of our Exceptional Value Awards for 2017. 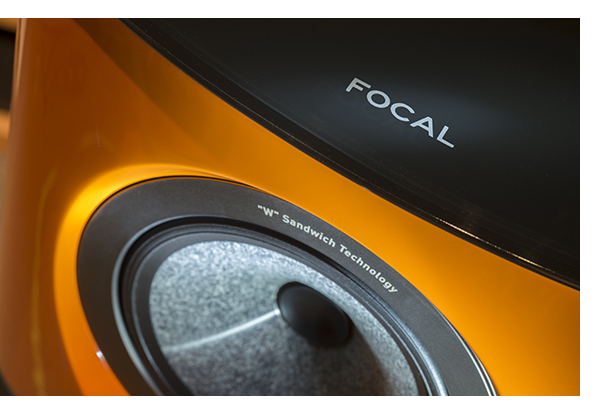 Focal’s level of in-house build and engineering expertise allows them to produce a speaker with this level of quality and resolution that is unattainable by few other manufacturers for anywhere near this price. 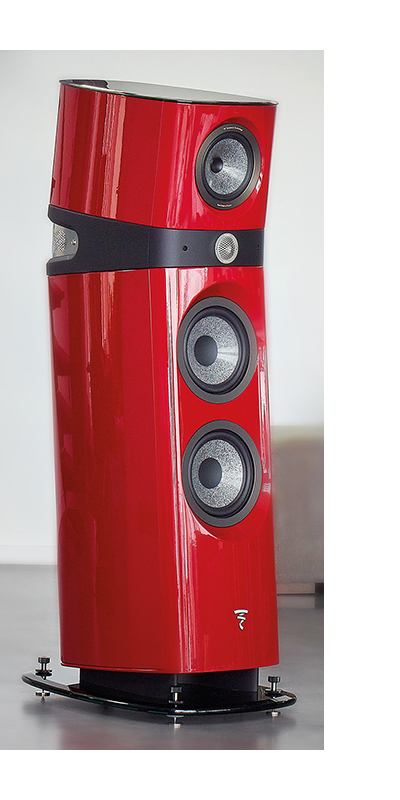 Even if you were planning on spending $50,000 on a pair of speakers, I would not count the Sopra no.3 out. 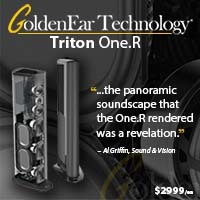 I think you’ll be as surprised as I was at just how good these speakers are.